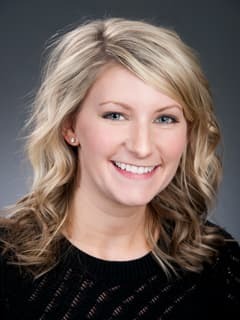 Erin W. Field, PA-C, is a Physician Assistant in the Division of Otolaryngology at Children's Hospital of Philadelphia. O'Reilly RC. Soundar S. Tonb D. Bolling L. Yoo E. Nadal T. Grindle C. Field E. He Z. The role of gastric pepsin in the inflammatory cascade of pediatric otitis media. JAMA Otolaryngol Head Neck Surg. 2015 Apr;141(4):350-7. doi: 10.1001/jamaoto.2014.3581. Schmidt R, Conrad D, Field E, O’Reilly R. Management of First Branchial Cleft Anomalies via a Cartilage-Splitting Technique. Otolaryngol Head Neck Surg. 2015 Jun;152(6):1149-51. doi: 10.1177/0194599815577357. Epub 2015 Mar 24. Jill N. D’Souza MD, Erin Field PA-C, Zhaoping He PhD, Robert O’Reilly MD. Gastric Pepsin in Post-Tympanostomy Tube Otorrhea. Presented at: at ESPO 2016: Lisbon, Portugal. Katherine McKee-Cole MD, David Hsu MD, Erin Field, PA-C, Douglas Johnston MD, Robert O’Reilly MD. Vascular Anomaly of the Jugular Bulb Mimicking Enlarged Vestibular Aqueduct Syndrome. Poster Presentation at: American Society for Pediatric Otolaryngology (ASPO), Spring Meeting; 2016 May 20-22; Chicago, IL. Cecile Sulman MD, Laurie Newton NP, Erin Field PA-C, Patrick Barth MD, Lisa Gagnon NP, Eric Baum MD, Melissa Raines NP, Allison Dobbie MD. Integrating Mid-Level Practioners in a Clinical Practice. Panel Presentation at: SENTAC; 2015 Dec 4; San Antonio, TX. Sharon Cushing MD, Erin Field PA-C, Robert O’Reilly MD. Managing Dizzy Children; A Simple and Practical Approach. Panel Presentation at: SENTAC; 2015 Dec 4; San Antonio, TX.